One of the big pieces of an engagement ring purchase is the small diamonds used in the diamond ring. Small diamonds, like bigger diamonds, come in all colours and clarities. It is very important to make sure you stress to your jeweller that you want your small mele diamonds to match your centre diamond. This insures a nice, even look throughout the entire piece. If the diamonds are too low in colour or clarity, the ring will look noticeably different from the centre diamond. The cut of the small diamonds is also very important. Diamond cuts should be of very good cut or better to insure proper brilliance from the stones. 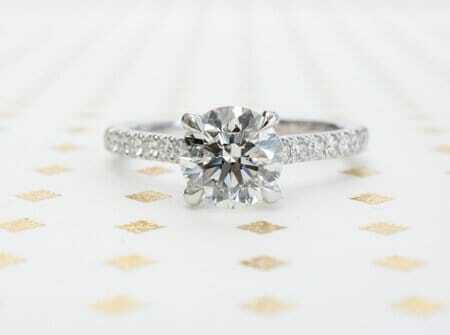 If not, you will get a dull look inconsistent with the centre diamond. 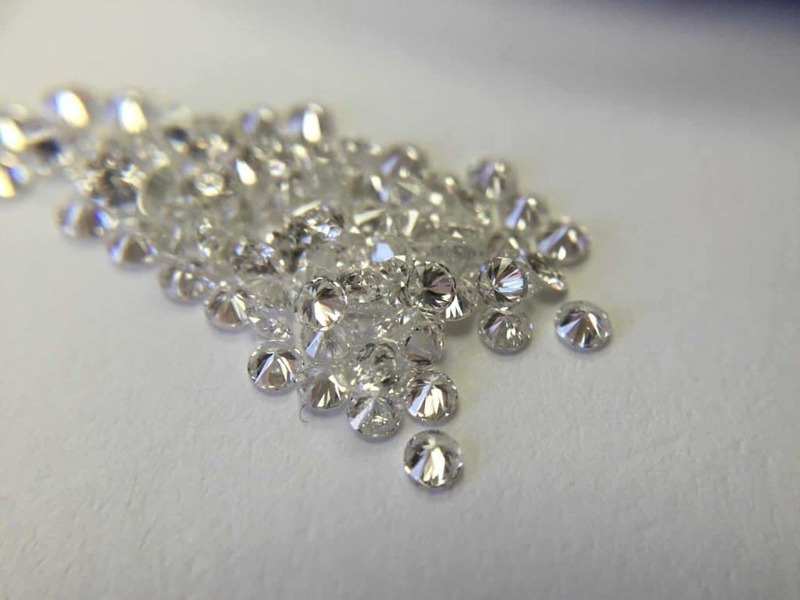 A properly cut small diamond should have exactly the same amount of facets as any large cut loose diamond. There should be no difference in the way the diamond is cut. Today, a lot of the really well cut diamonds are not cut by hand. Instead the manufacturer will use machines to insure an incredibly precise cut for each small diamond. You must expect the same level of quality in your small diamonds as you do in the centre diamond you select. If the small diamonds do not match up with the large stone, you will have a very uneven look where the ring looks better then the centre or the centre diamond will look much better than the side diamonds. The quality of the small diamonds will be mentioned in the grading report. This is why we stress independent appraisals. Have your purchase confirmed by a reputable third party and rest easy knowing you have made a wise decision! An grading report is the best way for you to cover your bases and insure the jeweller used the correct quality in your ring and matched everything up correctly. If you have more question or would like to discuss in more detail, we are always available.